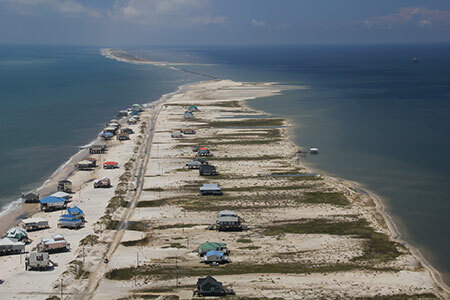 Hurricanes and other extreme storms generate storm surge and large waves that erode the beach and dune system and reshape the coastal landscape. The impact of a storm on a barrier island is dependent not only on the physical processes at work during a storm but also on the elevation and shape of the beach during landfall. Sand dunes paralleling the shore act as the coast's first line of defense. 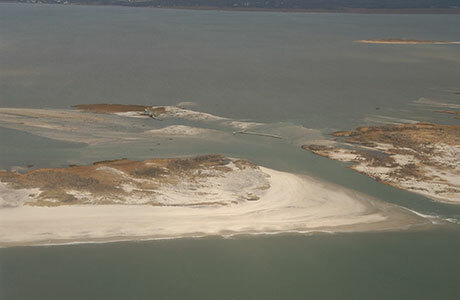 Stretches of coast with very low dunes are potentially more susceptible during storms to extreme coastal change than those with higher dunes. 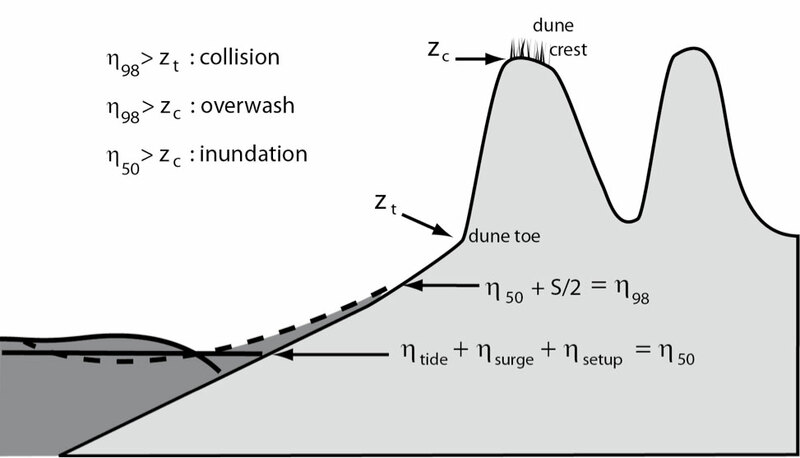 This figure defines the relevant morphologic (dune crest (zc) and toe (zt)) and hydrodynamic (tide (ηtide), surge (ηsurge), setup (ηsetup), and swash (S)) parameters in the storm impact scaling model of Sallenger (2000). The mean water level (η50) is the sum of tide, surge and setup. The extreme water level (η98) is the mean water level plus swash divided by 2. (Modified from Stockdon and others, 2009). The hydrodynamic forcing of the storm is represented as the extreme total water level (η98), which includes tide, storm surge and the 2% exceedance value of wave runup, and the storm-induced mean water level (η50) is defined as the sum of tide, storm surge and wave setup. To obtain forecasts of the likelihood of coastal change, the modeled water levels are required. These modeled water levels take on two forms (1) scenarios representing generic storm conditions and (2) near-real-time estimates using current weather and wave conditions. These values are then compared to measurements of the position and elevation of the dune crest (zc) and dune toe (zt) extracted from gridded lidar data. Photos representing the three types of coastal change: collision, overwash, and inundation. 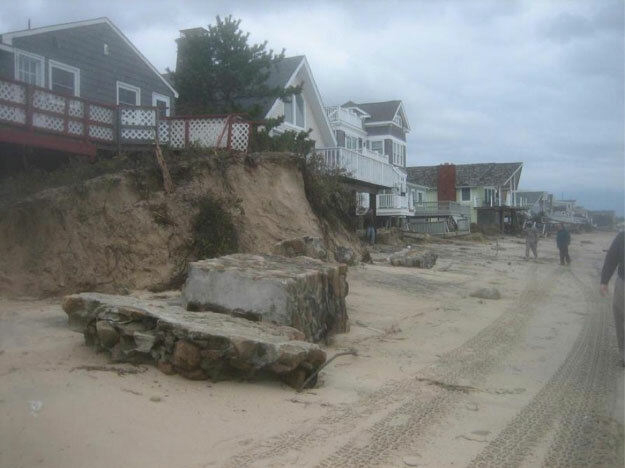 Waves and surge during Hurricane Sandy (October 2012) eroded the dunes and caused structural failure in Westerly, Rhode Island. (Photo credit: National Weather Service, Taunton, Massachusetts.) Waves and surge during Hurricane Isaac (August 2012) overtopped low dunes to create overwash deposits that extended onto the road and the island in lobes toward the bay side of Dauphin Island, Alabama. Waves and surge during Hurricane Sandy cut through a narrow portion of Fire Island, New York to create a new inlet.